There’s been no dramatic changes to property values of late and the traditional holiday season slowdown is likely to be one of the reasons. The latest QV House Price Index shows that values nationwide values were up by 1.2% in the three months to December and by 3.2% over the past year. This left the nationwide average value at $682,938. But value growth in the major metropolitan centres was a mixed bag with Wellington alone continuing to see strong growth. 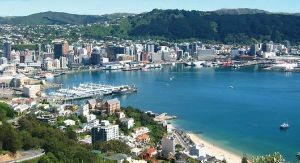 The Wellington region saw values rise by 3.2% over the past quarter and by 7.8% in the year to December, leaving the average value at $688,074. In contrast, value growth across the Auckland Region decreased by 0.4% year-on-year although values were up slightly by 0.1% over the past quarter. The region’s average value is now $1,048,145. Christchurch values inched up slightly over both the quarter and the year, leaving the city’s average value at $496,562. Meanwhile, Hamilton values were down by 5% year-on-year (to $570,886), Tauranga values were up by 3.9% year-on-year (to $720,645) and Dunedin values were up by 11.2% year-on-year (to $434,903). QV general manager David Nagel says the busy Christmas period can mean people put off buying or selling properties until the quieter New Year period. A point of interest is the continued growth on many smaller regional towns, he says. Kawerau, Carterton and South Waikato saw quarterly value growth of 22.7%, 9.9% and 9.1% respectively. In terms of annual value growth, Kawerau leads the way - up 30.1%, followed by Wairoa (27.4%) and Ruapehu (20.9%). However, going forward, Nagel expects the loosening of the LVR restrictions to enable some new first home buyers and investors to enter the market in the coming months. For CoreLogic head of research Nick Goodall, the December data closes out the 2018 property market in a relatively similar way to last year – with continued weakness in the largest cities and inconsistent growth elsewhere. He says the market leading into the summer months stayed consistent in December, albeit with the usual reduction in overall activity as well. However, solid market foundations also continue and these shape Goodall’s expectation that the 2019 market will perform similarly to last year. Many eyes will be on the Government, the Reserve Bank and the banks themselves as they hold so many of the influencer cards, he adds.